We asked you to help us choose four of the most iconic 4WDs from the last four decades as part of our Off Road Icons project. We couldn’t be more pleased to announce the first Off Road Icons vehicle – the Toyota Land Cruiser 40 Series. The Toyota Land Cruiser 40 Series was Toyota’s best selling vehicle in the 60’s and maintained a healthy 24-year lifespan on the market. More than one million were sold around the world with 121,000 sold in Australia. The reason for its popularity was clear; it was the first four wheel drive designed with the everyday family in mind. Its durability stands the test of time with many seen on the roads today. In a testament to its popularity, in 2006 Toyota developed the FJ Cruiser, a modern interpretation of its old counterpart. 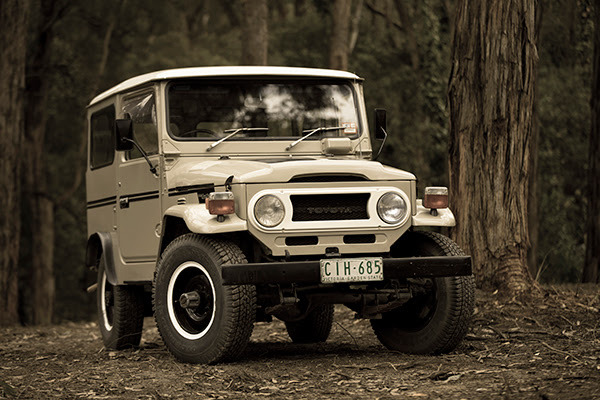 The Toyota Land Cruiser 40 Series, Australia’s first standard family wagon, known for its versatility and reliability, it’s no wonder it was voted in as one of Australia’s most iconic 4WDs. In celebration of our 40th anniversary, we are selecting four of the most iconic 4WDs of the last four decades, restoring them to their former glory and pitting them up against one of Australia’s most iconic 4WD destinations… the Simpson Desert.